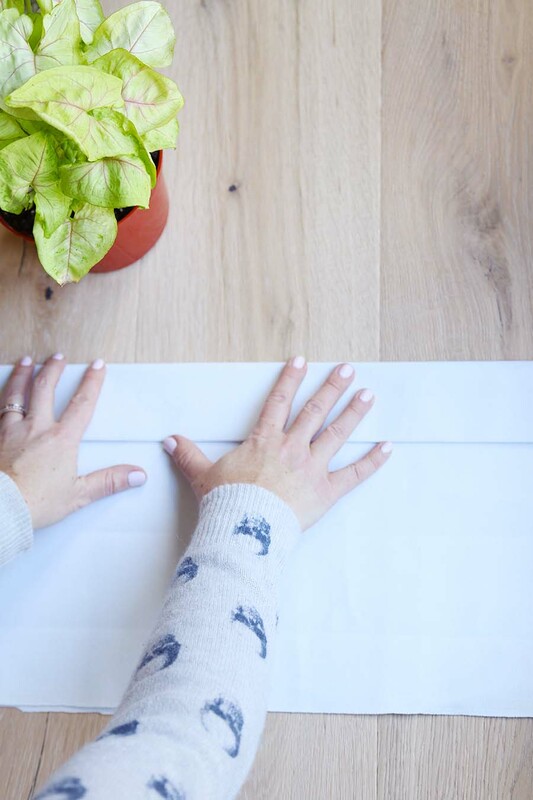 Make this no-sew fabric planter DIY project using just a few supplies! 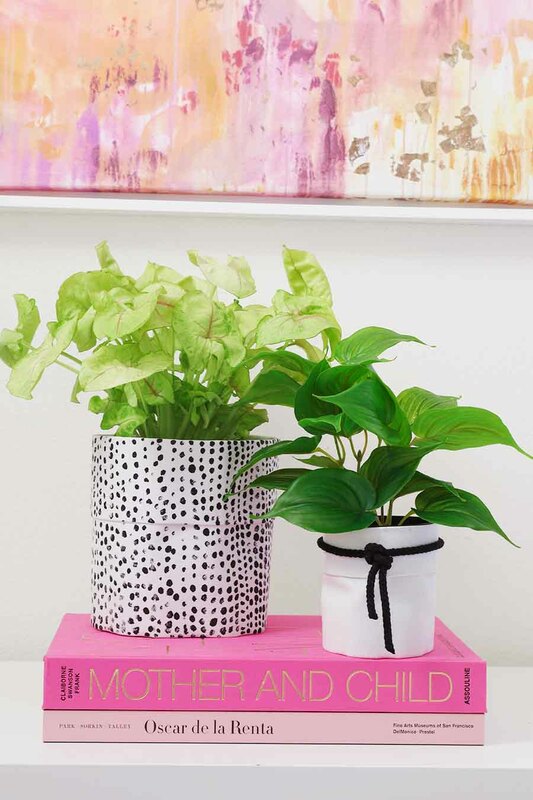 This simple project takes just a few minutes and is a fun way to dress up your favorite potted plants! 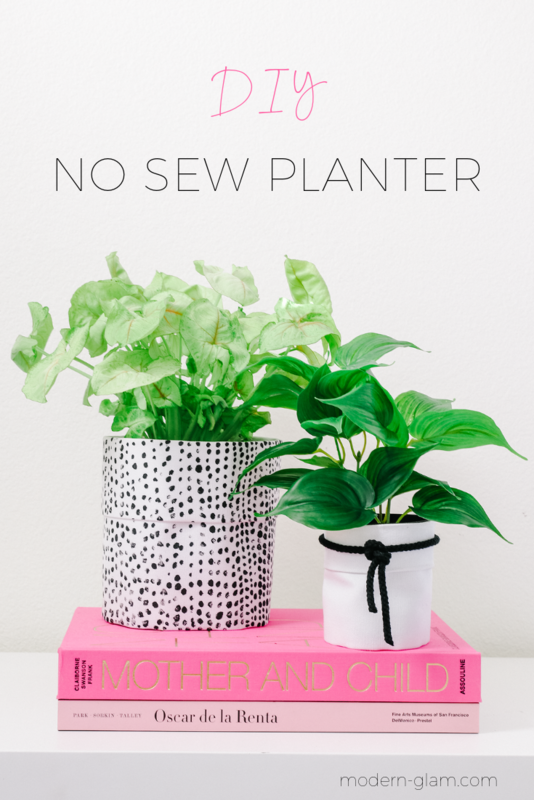 I absolutely love these no-sew fabric pots! Do you ever come home with a new plant and have no pot to put it in? And then it sits in the plastic container forever? Yeah, me too. This is the perfect solution. And the best part is the bottom is open, so watering is a breeze! I love the organic look and feel of these fabric planters. 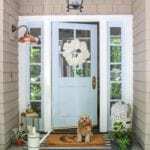 And by using craft paint, you can personalize them to fit your decor and personality! 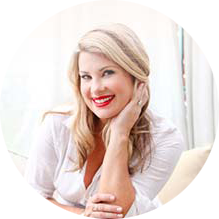 I’m joining some of my favorite bloggers in a fun craft challenge today. 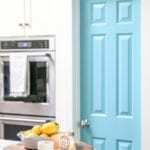 We were given the challenge of creating a project that included 3 specific ingredients: fabric, paint and trim! Be sure to check out the the links to the other posts at the bottom. 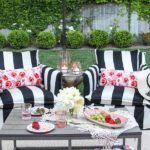 You will want to measure a piece of fabric that is about 1 inch wider than the diameter of your chosen potted plant and double in length, plus 2 inches. Take the top edge and fold down, making cuff. This will be the top of the planter. 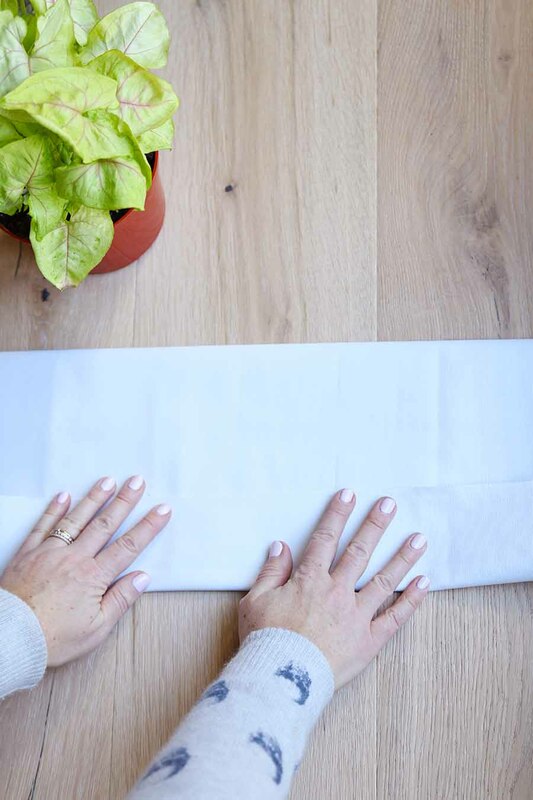 Next, turn the fabric over and fold up the bottom of the fabric to create a clean edge for the bottom of the fabric planter. 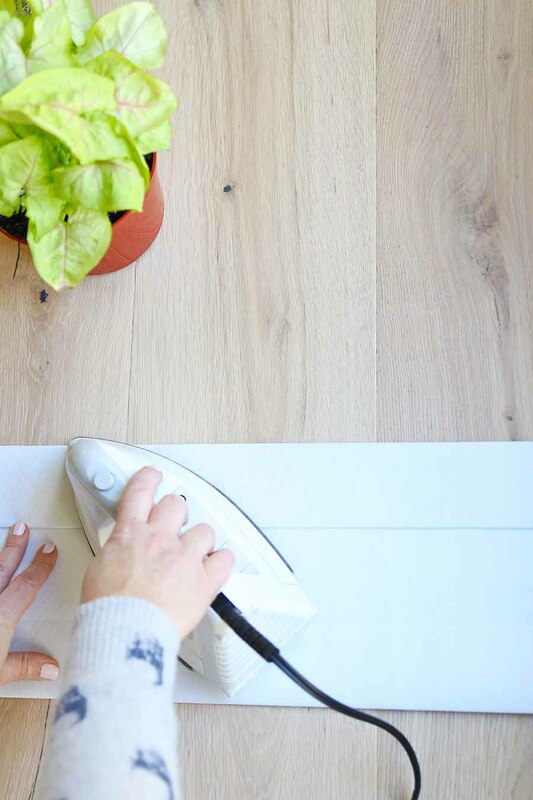 To create a clean, crisp edge, iron the creases on both sides. Use the hot glue to glue down the folds on the top and bottom. This also prevents the fabric from fraying. 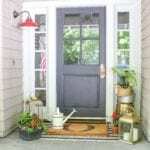 Now that you have your fabric planter pretty much constructed, you will want to paint any design you may want to add. Doing this step while the planter is still flat, makes this much easier! I chose to add free-handed dots. I like the simple yet modern pattern. Acrylic paint works great on canvas! 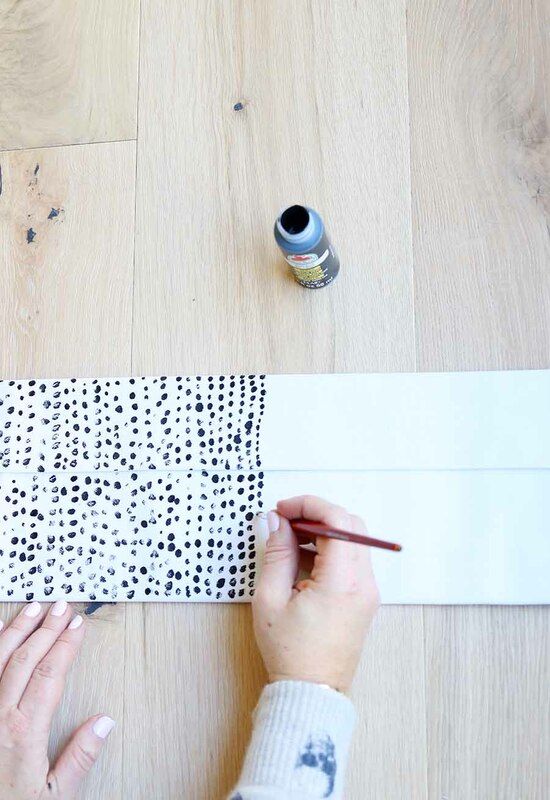 Once you have your design painted onto the canvas, wrap your pot with the fabric. Bring the edges together and fold one end in to create a clean edge. Hot glue the seam to hold in place. 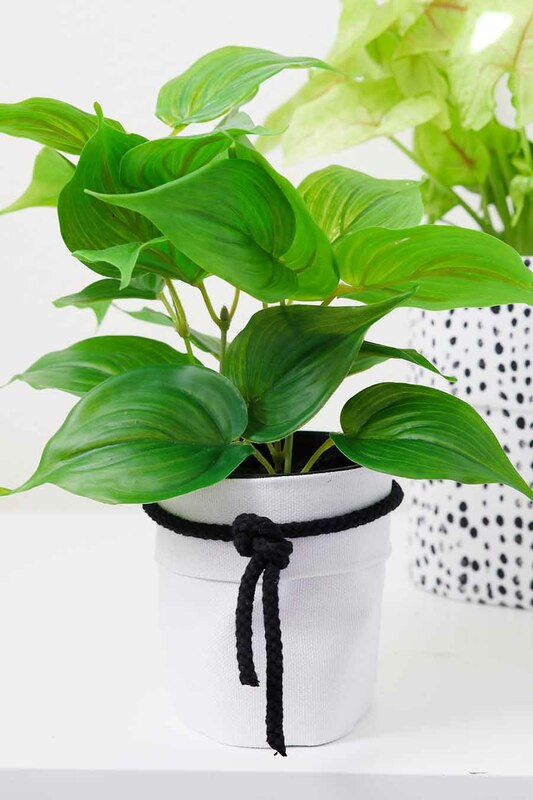 I chose to leave one of my fabric planters unpainted and simply tied it with a black rope trim. Sometimes simple is so chic! 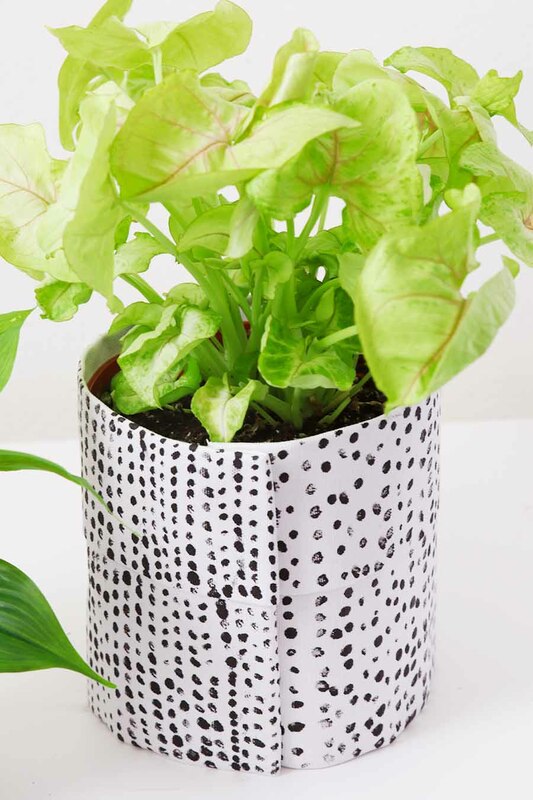 The great thing about this plant wrap is that you don’t have to remove it to water your plants! And the holes are far enough from the edges that the bottom won’t get wet. You can simply slide the wrap up a little bit while the plant drains in the sink or outside. 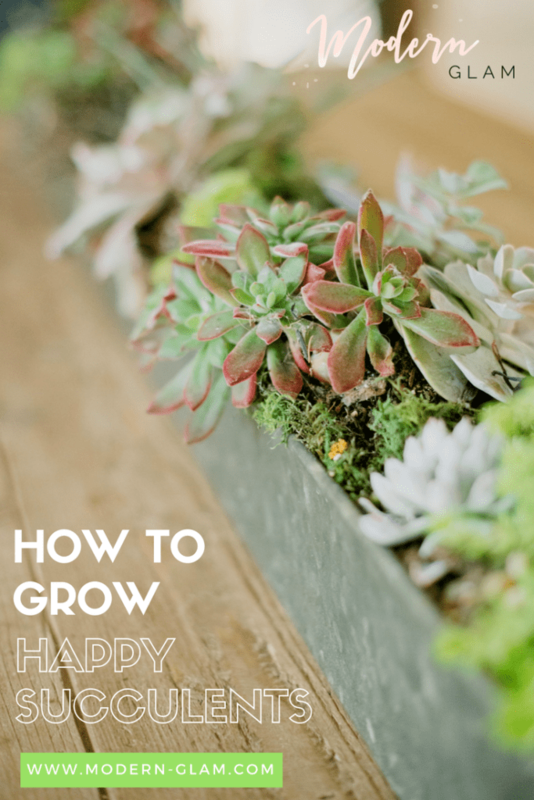 Check out my tips for growing healthy and happy Succulents! 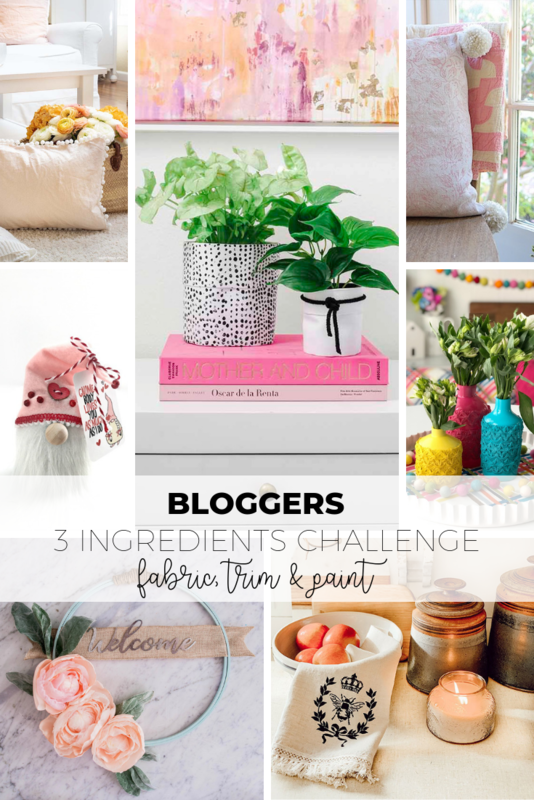 Now, let’s see what my friends came up with for our Three Ingredients Challenge this month! 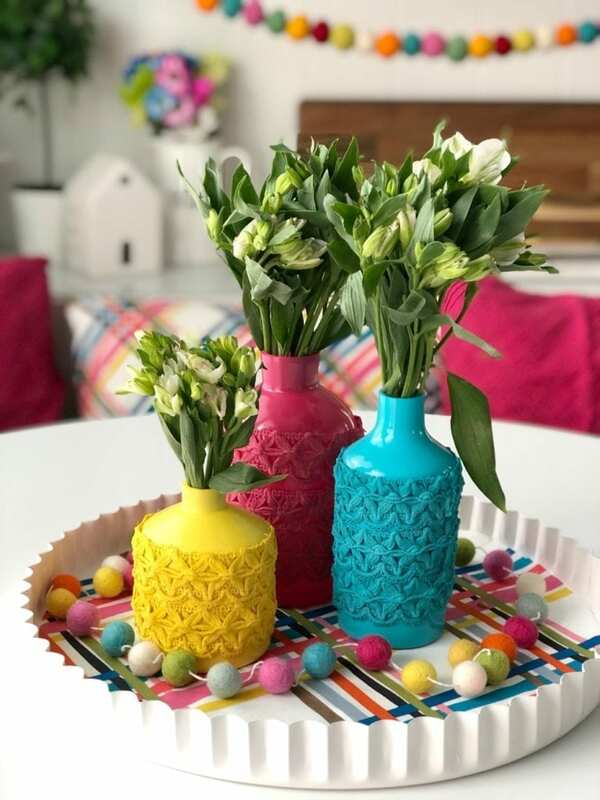 My sister, Jen from Tatertots & Jello created these happy and bright Anthropologie-Inspired Spring Vases! She always does the best projects with color. 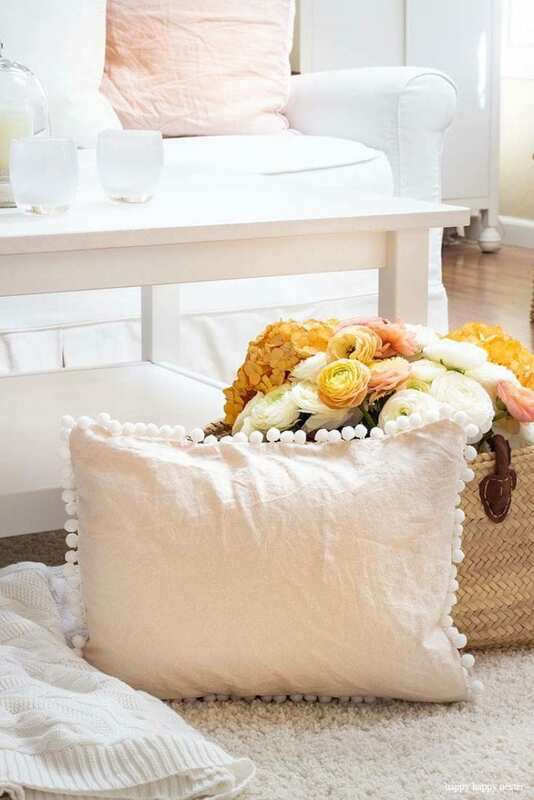 This stunning pillow was created by Leslie, my 100 Year Old Home using paint! Can you believe it?! 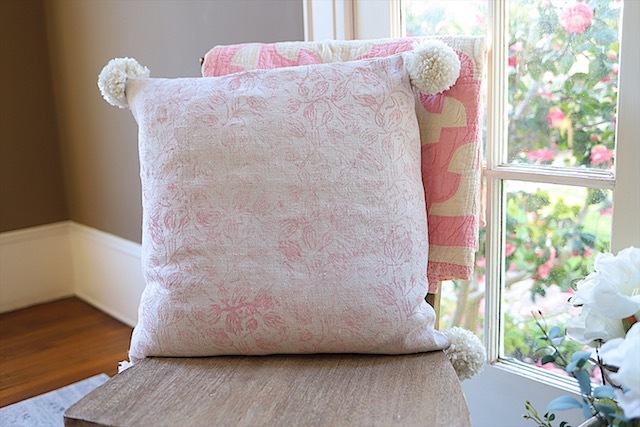 Be sure you check out her full tutorial for this Pink Paint Fabric Pillow. 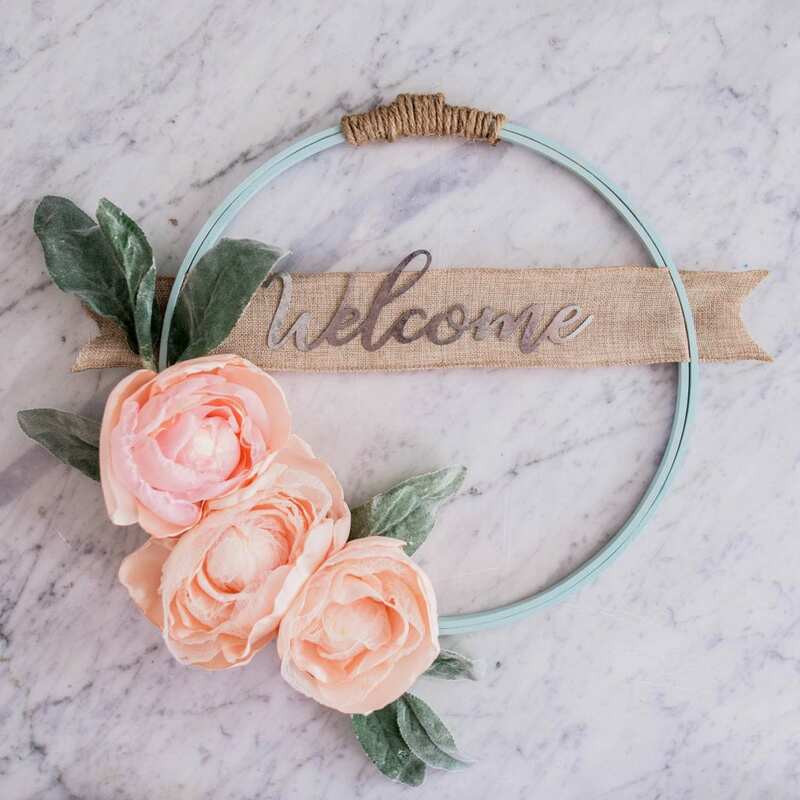 If you liked my Spring Hoop wreath, you are going to LOVE this version from Christina, the DIY Mommy! I love her colorful version. Check out her tutorial for this Hoop Wreath with DIY Fabric Flowers. Look how cute these tea towels are! 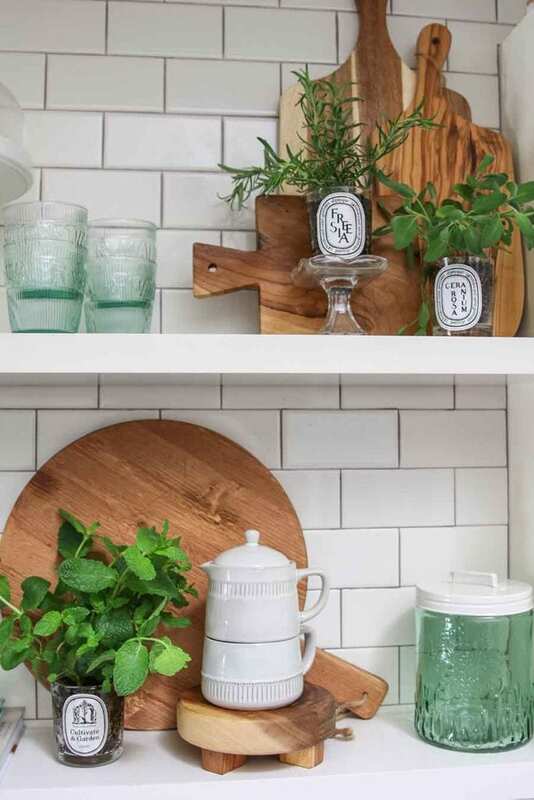 Rhonda from Hallstrom Home created the most perfect gift for this 3 Ingredients Challenge! 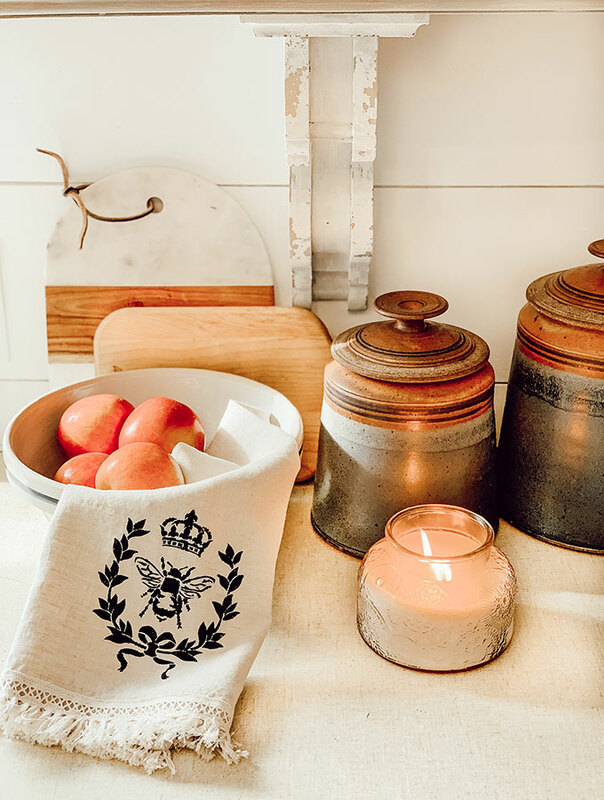 Click here see How To Stencil Tea Towels with Chalk Paint! 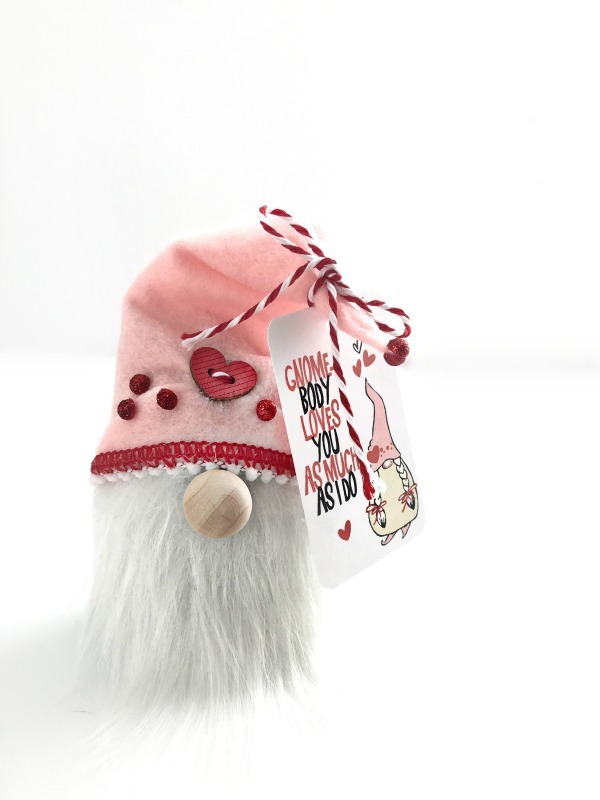 These adorable Valentine’s Day gnomes take less than 30 minutes to make! Tauni always has the best printable to go along with her projects. Be sure and check out her post for these DIY 30 Minute Valentine’s Day Gnomes! And you will never guess what Janine, Happy Happy Nester used to dye these pillows! Avocados! Check out her full tutorial for Dyeing Fabric with Avocados. Your planters are so creative and pretty! Love that you also painted a cool design on them too. Btw, your plants look so amazing too. 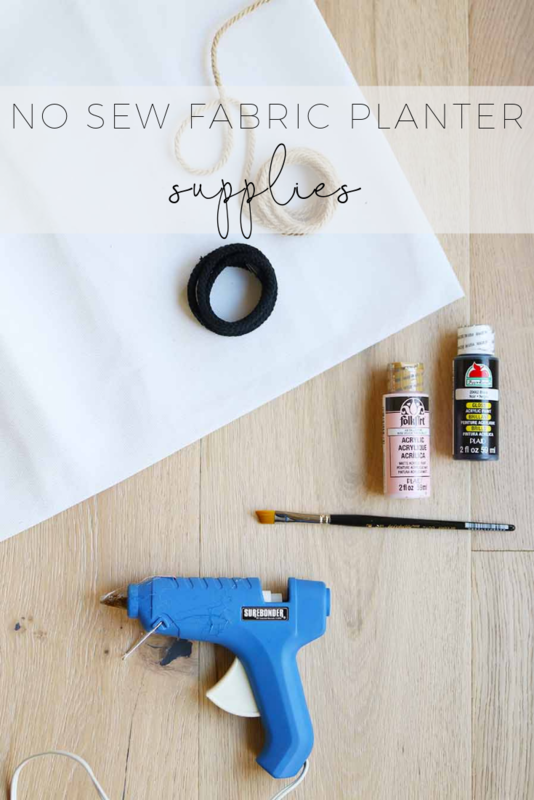 This is such a gorgeous DIY! I love it! Ashley, I know that hearing your style is absolutely impeccable is nothing new, simply because it’s 100% true. The thing I truly love about your posts is that I know that I will be able to share your work with my readers and they will love it. It’s never a “have to share” for me, but a “want to” share.